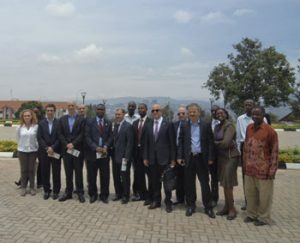 On 21st March 2019, a four man delegation visited Kigali Independent University ULK on behalf of the Ministry of Justice to equip students with needed information on crimes such as human trafficking, drug abuse and trafficking, Gender Based Violence and the like. 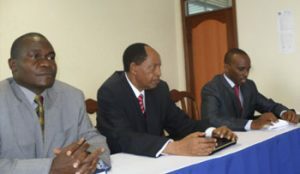 The delegation was made of Commissioner of Police MUNYAMBO Bruce, IYAREMYE Richard, Division Manager in charge of Economic and Financial Crimes at Rwanda Investigation Bureau, NIBAHIRE Anastase, Coordinator of Justice Section Secretariat in MINIJUST, and Ms DUSHIMIMANA Claudine from the National Prosecution. 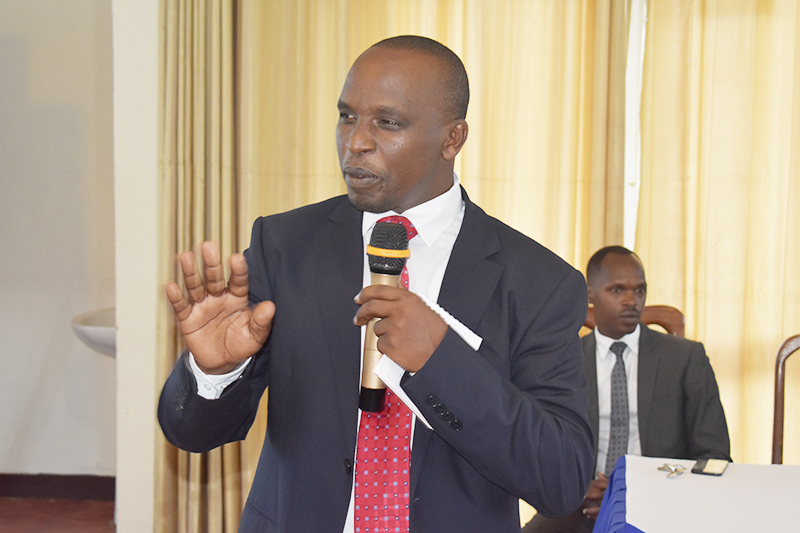 In his welcome remarks, Dr. SEKIBIBI Ezechiel, the Vice Chancellor of Kigali Independent University ULK, thanked the delegation for having chosen ULK for their message. 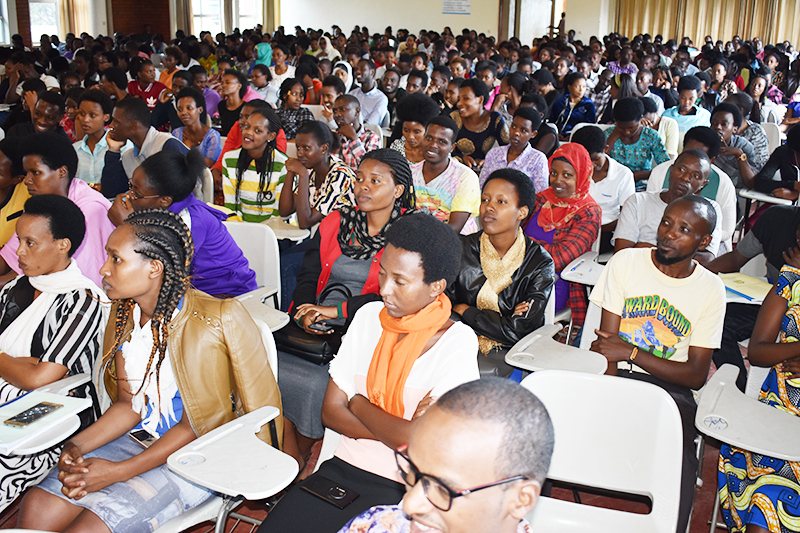 He also requested ULK students to be all ears and take the message by heart so as to transform the nation. 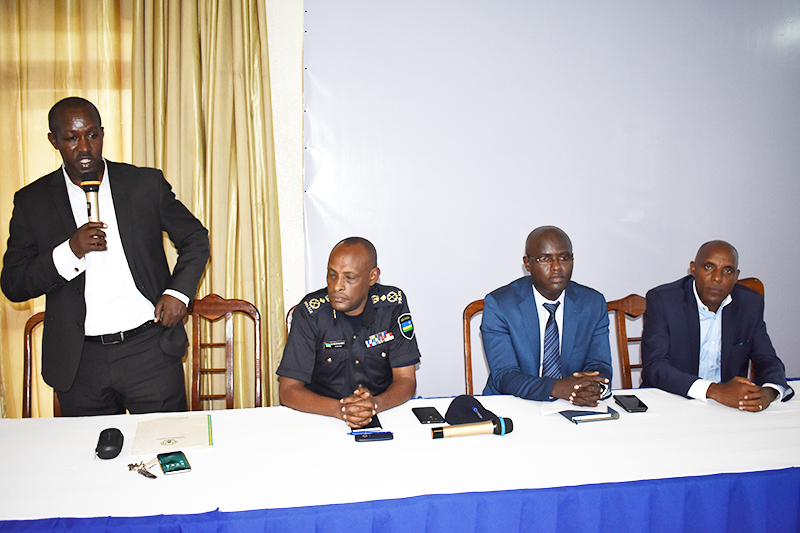 CP Bruce told the gathering that the lecture on crimes is one of the activities held during the Justice Week organized by the Ministry of Justice which climaxes on 22nd March 2019 at Amahoro National Stadium where a friendly football match is expected to take place. 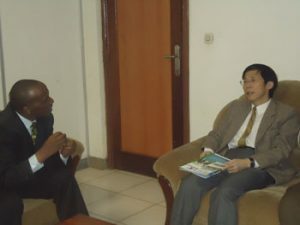 Since crimes have been on the rise year in, year out, the Ministry of Justice found it worthwhile to raise people’s awareness on emerging crimes such as human trafficking, Gender Based Violence, drug abuse and trafficking and the like so that Rwandans may know how to behave whenever they are hoodwinked to fall prey or victims of such crimes. 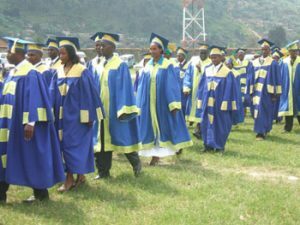 “You will receive calls of unknown people who pretend to be Good Samaritans pledging to offer you juicy jobs if you accept to leave your country and go abroad for jobs. 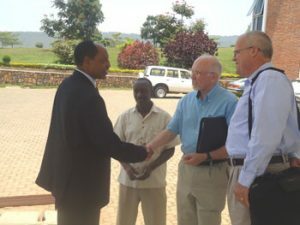 Never heed these pledges as most of them end up taking you for sexual exploitation, forced labor and some other inhuman practices”, Mr. NIBAHIRE Anastase warned the youthful audience. 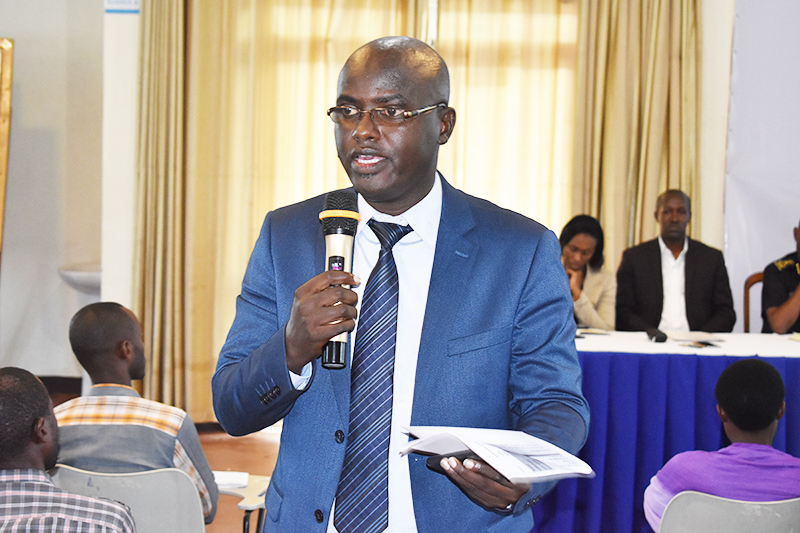 In his point of supplement, Mr IYAREMYE Richard from RIB (Rwanda Investigation Bureau) underscored that several cases of human trafficking and drug abuse were recorded over the last months and most of the people apprehended were the youth. 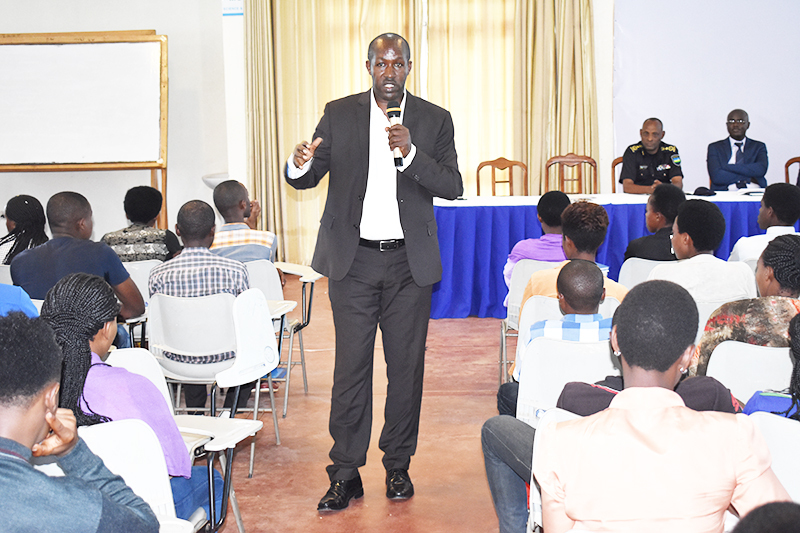 He therefore urged the youth to roll up sleeves and work instead of involving in risky businesses which may claim their lives or trigger sharp sentences. 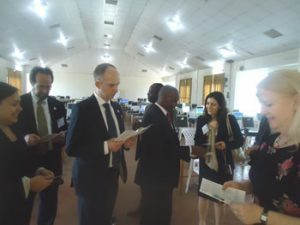 The United Nations Office of Drugs and Crime (UNODC) labels human trafficking, also known as trafficking in persons, as a serious crime and a grave violation of human rights. 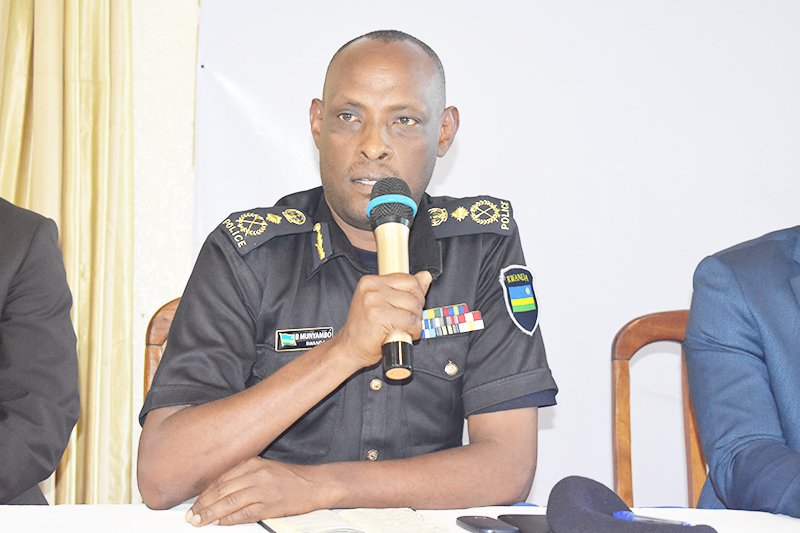 According to The New Times (2017), Rwanda-based daily newspaper, statistics indicate that between 2009 and 2013 alone, RNP handled over 36 cases involving 153 victims in transit route intercepted in Rwanda, including 51 Bangladeshis. Overall, 90 per cent of the victims are female, 82 per cent of them aged between 18 and 35. 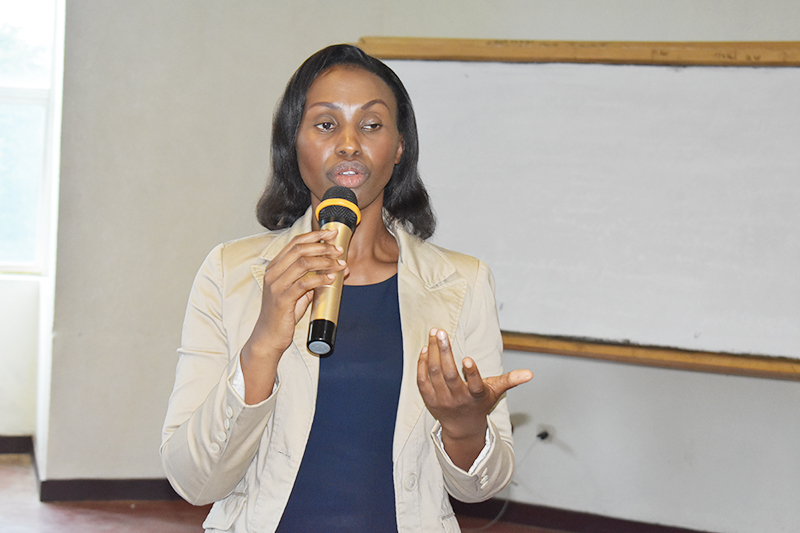 As Ms DUSHIMIMANA Claudine said, some parents spend most of their time away from their children with little or no time dedicated to their children. This is vindicated by cases whereby parents get to learn about their children’s deteriorating health after a long time. 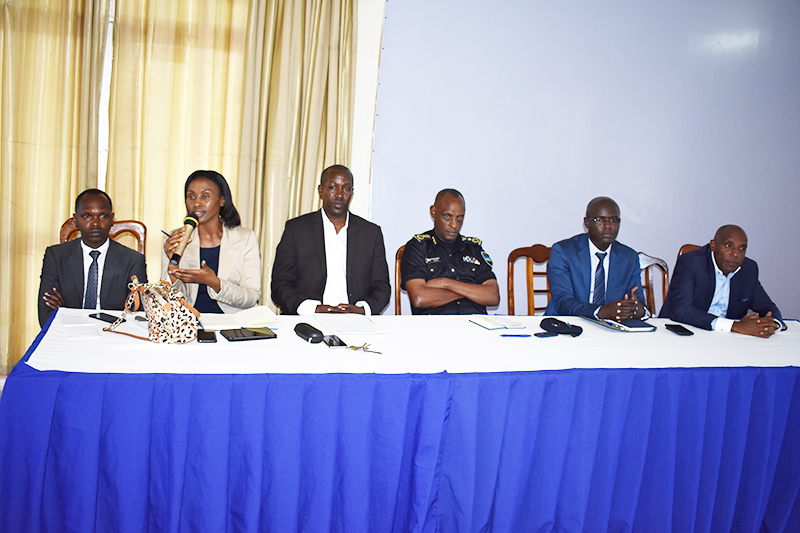 “Some children are sexually abused by either relatives, house maids or any other people and the parents remain uninformed until the children start complaining about terrible pain. Parents should always check on their children to know how they are doing”, she advised. At the end of the event, questions were asked and satisfactorily answered.